No matter where we travel lately, we have to drive through North Carolina to get there. Our most recent destination was Helen, Georgia, and we traveled our usual route of Hwy.64/74 through Oconee white water rafting country, then to Ducktown, Tennessee, before turning onto Hwy. 129 and into North Carolina. Somewhere between North Carolina and Blairsville, Georgia, I spied several pastures set up with ziplines, one of the numerous outdoor adventure sports offered along the way. I remembered my own exhilarating experience on a zipline in the mountains of upstate New York where, at the age of 49, I stepped off a platform just large enough to hold my feet. With hands clasped around a small handle and a belt around my waist, I zipped down feeling like a reborn teenager whooping with delight. We were told not to let go of the handles, but many stubborn “don’t tell me what to dos” actually did, and ‘though they were unhurt when they landed, they terrorized themselves while zooming down, whereas I had a good time. Many zipline adventures are available throughout North Carolina and north Georgia, and there’s no maximum age to “zip,” if you’re in good health. I might add that, at age 75, I didn’t stop to try my luck again. The drive began to be a series of hairpin curves, winding through the Chattahoochee National Forest as we climbed close enough to view the peak of the Brasstown Bald , the highest peak in Georgia (4784 ft). I’m told that you can see North Carolina, Tennessee, South Carolina, and Alabama from Brasstown Bald. We didn’t follow the trail to this height but had read about a Visitors Center that features a museum and presentations about forestry in north Georgia. The climb to this peak brings hikers from throughout the South during late October to see the trees turning red, purple and gold. After the steep, winding drive, I was relieved to reach Helen, a pseudo Bavarian village near the Chattahoochee River. 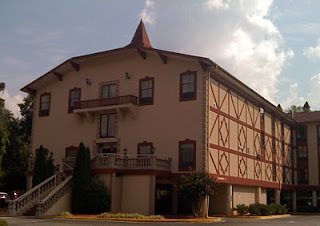 The buildings in the town, even the motels, are patterned after Bavarian or Alpine structures, and German sausages and baked goods abound in restaurants throughout the village. Helen and nearby Unicoi State Park provide a vacation Mecca for Atlantans, and the town was almost “carnival” during our stay. Loud music could be heard along the river, and the streets were crowded with a surprising number of teenagers and young adults, many in pick-up trucks “vrooming” loudly. We walked the streets, looking through shop windows but avoiding the fudge shops and bakeries. However, at lunch I tried a fried, stuffed pretzel that tasted somewhat like a French Market beignet without the powdered sugar. Mostly, I refrained from eating the strasses and platzes, although my German blood pined for the fat food. Beginning September 9, Helen hosts the longest-running Oktoberfest in the U.S. which ends October 31. It’s a festival that features German bands, steins of German beer, brats, and polkas. I saw several tall steins in the restaurant at lunchtime that were advertised to hold a liter of beer, and the sight triggered memories of a visit we made to Hofbrauhaus in Munich, Germany back in the 70’s. I marveled at the weight of beer steins being hefted during the evening as a small brass band played in the huge hall. I was also amazed that most of the tipsy dancers on the floor were in their 60’s and 70’s! Helen is situated at 1600 feet and ridges on either side extend for ten miles to the peak of the Blue Ridge at heights of nearly 4000 feet. The town sits at the headwaters of the Chattahoochee River, and tubing businesses thrive in the summer and early Fall. During our stay there, the brightly-colored blue and yellow tubes moving down the river looked tempting, as the weather was humid during the day, especially around lunch time when we went out to the Nacoochee Grill close to the Habersham Winery. The Nacoochee Grill has the distinction of being one of the few restaurants with a chef that cooks on a true live fire grill fueled by North Georgia hardwoods (usually red or white oak) and is started every day with pure Tennessee charcoal. Owners of the grill claim they avoid using man-made pellets, propane, natural gas, or inferior woods. The restaurant is actually a rural north Georgia farmhouse that was built in the Leaf community during the early 1900’s and was moved to the Nacoochee Village and restored for restaurant use. I was tempted to taste the Cajun Grill Benedict made of a biscuit topped with poached egg and andouille sausage, garnished with hollandaise sauce, but ordered a more frugal omelet with spinach, mushrooms and tomatoes. It was difficult for me to pass up andouille sausage, an ingredient of Cajun red beans and rice. Another “imported” Cajun dish was Shrimp and Grits, but we Cajuns couldn’t lay claim to the Duck Quesadilla! And whoever heard of serving an oyster po-boy on a hoagie roll? Cher, they don’t know about the hot French bread from Lejeune’s Bakery in Jeanerette, Louisiana, no! Helen is a small adventure destination for peripatetics, but it was a bit crowded for me, and I’m glad we missed the Oktoberfest, which draws over 100,000 people every year. We missed this event by one week-end! After hard rains yesterday, Sunday on The Mountain has been one of sunshine and perky flowers following a long drought. We attended Sunday Eucharist at Saint Mary’s where the singing seemed to take on more volume and lilt from the sun streaming through the window behind the altar. 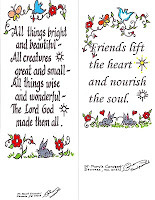 As I walked down the hall toward the breakfast room, I noticed a new bookmark bearing the words of one of my favorite hymns: “All things bright and beautiful, all creatures great and small, all things wise and wonderful, the Lord God made them all.” The words, embellished by butterflies, flowers, and a gray rabbit, seemed to match the weather and the mood of the morning. 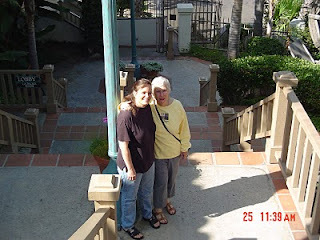 Sister Mary Demetria, a former Sister (now deceased), created the original designs for all of the bookmarks lying on the hall table; however, nowadays the coloring of replications of Sister Mary's original designs, for which there are plates, is the handiwork of Sister Margaret. 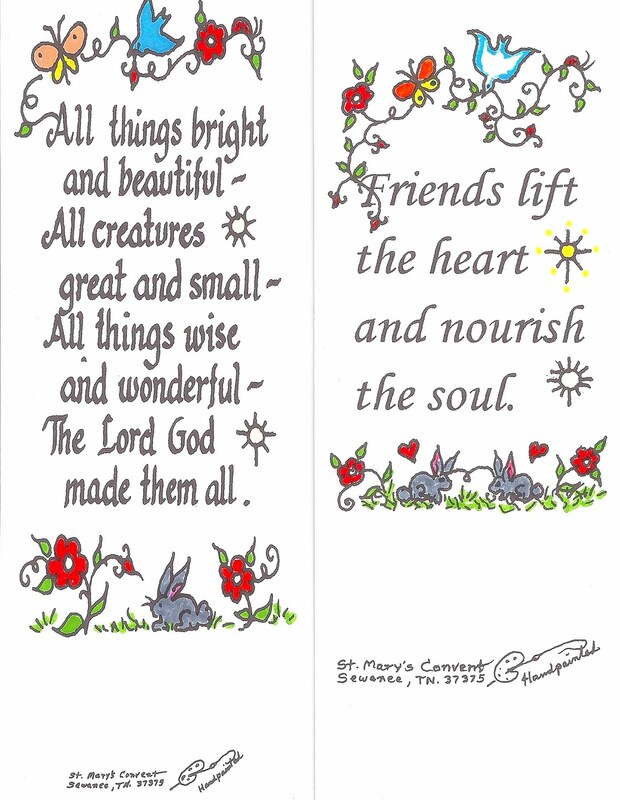 The bookmarks provide another means of raising funds for the upkeep of Saint Mary’s Convent, along with Sr. Miriam’s unique Anglican rosaries and Sister Madeline Mary’s nature photographs. I talked with Sister Margaret after the service and found that she not only paints the designs on bookmarks, she is a champion at cross stitch. With typical self-deprecation, she added that Sister. Miriam’s handiwork is beautiful and that she knits baby clothing and other garments. 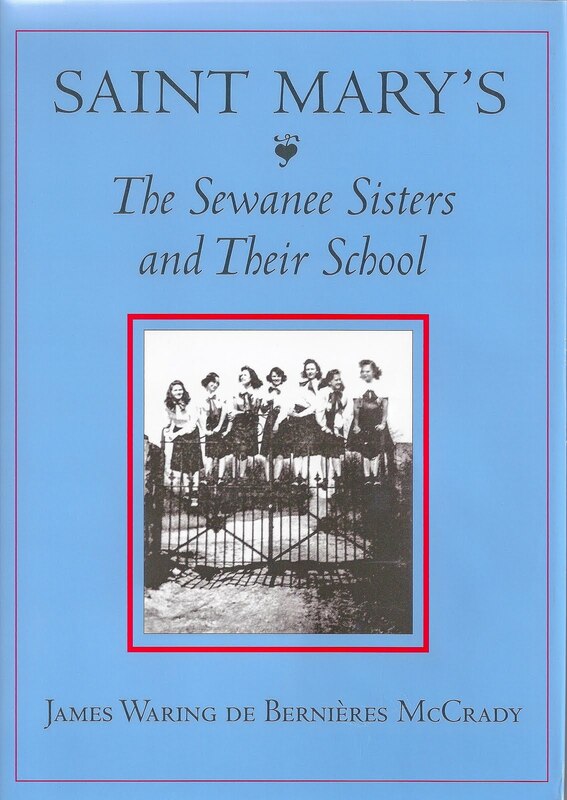 On a small table across the hall from the Sisters’ handiwork lay a new book entitled SAINT MARY’S: THE SEWANEE SISTERS AND THEIR SCHOOL by James Waring De Bernieres McCrady. Saint Mary’s School at Sewanee was one of Sewanee’s three boarding preparatory schools before it was closed in 1968. An interesting feature of McCrady’s book is the story of the Southern Province of the Community of Saint Mary, which was the first Episcopal religious order in the U.S. He traces the evolution of Saint Mary’s at Sewanee Convent and School from 1823 to 2010 and enhances the book with photographs taken from the University of the South Archives. This is a definitive history of both the Order and Saint Mary’s School and is a well-told story. I’ve included pictures of some of the bookmarks colored by Sister Margaret, and the cover of McCrady’s book, which should be on the shelves of all Sewaneeans who love The Mountain and its various institutions. Those interested in obtaining a copy can order from The Sewanee Trust for Historic Preservation, P. O. Box 21, Sewanee, TN 37375. Also, Saint Mary's Convent has copies. After supper last night, I sat on the front porch listening to night insects sing their monotonous music and was startled when I heard rustling in the woods near the front lawn. I glimpsed the shadowy outlines of three deer moving through the brush. The word “stealth” came to mind, but in the same thought came the word “grace.” It was a lovely, shadowy sight – those three animals gliding silently through the darkness, looking like three kings following a star in the August heavens. They didn’t appear to have a destination, and I guess they were taking a nightly stroll. More than likely they were reconnoitering places that held succulent flowers. I have written several poems about deer that have fed on our flower plantings, which appeared in my poetry chapbook, JUST PASSING THROUGH, published the first summer we moved to Sewanee. These poems didn’t express the appreciation I seem to feel about deer now roaming about in the wooded area near our cottage. I suppose they have become old friends, and when men begin to cull them each Fall, I am sickened by the thought of the killings. Earlier this month, I “stared down” a doe that came to my bedroom window as I was making the bed one morning. She stared intently into my eyes while her baby grazed about a foot away from her. The look was so poignant that it prompted me to write this poem I share with you this morning when the nocturnal creatures must be “sleeping in” after their nightly sashaying around. It’s a poem in a new collection of poetry I hope will be published this Spring. a doe and her two spotted fawns. frighten them away from their breakfast. until we knew they were safe. 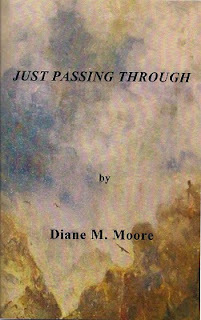 The cover of JUST PASSING THROUGH is taken from a painting by my brother Paul Marquart. One of my favorite poems from Walt Whitman’s LEAVES OF GRASS is the one that begins with the words, “I think I could turn and live with the animals, they’re so placid and self-contained. I stand and look at them long and long…” We live in an age where people are devoted to domesticated animals, and I hardly ever enter a home anywhere that is sans dog or cat. Even at St. Mary’s Convent, where we worship, pets are part of the family of the Sisters of St. Mary. On most days following services, three dogs and three cats are released from confinement and scamper into the breakfast room where they roam freely and station themselves under the tables, seeking and receiving head pats and table droppings. Since I’m allergic to animal dander, I content myself with observing animals, liking, especially, large chocolate and black Labs, watching squirrels frolic in the front yard, and staging long staring sessions with deer. Birds watch us closely when we breakfast outdoors, and cardinals have a habitat in the trees alongside our drive. A skunk holed up in the garage last year, but we weren’t too appreciative of the visit from this smelly critter. Recently, my friend Vickie purchased a copy of one of Pinyon Publishing’s newest books entitled OPEN THE GATES, Poems for Young Readers, by Dabney Stuart with paintings by Susan E. Elliott, and I enjoyed a good read of the poetry. Although the poems feature critters that aren’t domesticated, any animal lover will love the playful lyrics about whales, eels, wolves, armadillos, etc. The renditions and the renderings call forth a sense of wonder and amusement in readers. I wrote about Susan Elliott’s paintings in a recent blog, and these animal renderings are enchanting watercolors that display her talent and complement the delightful poems by Stuart. Dabney Stuart is a poet of renown who has published fifteen volumes of poetry and is a former resident at the Rockefeller Center in Bellagio, Italy. He has also held numerous fellowships and won the Library of Virginia Poetry Prize in 2006. His works are in the audio and video archives at the Library of Congress. Pinyon Publishing is the publisher of my most recent work with Isabel Anders, THE CHANT OF DEATH . During the past three years we’ve traveled what southerners call the Southern High Roads in Tennessee, Georgia, North Carolina, and, now, South Carolina. Our most recent trip has been to Up Country South Carolina where we’ve experienced breathtaking views of the Blue Ridge mountain wall. We've seen lakes and Blue Ridge peaks everywhere and settled in at the Table Rock Resort near what the Cherokees called a bald mountain. Numerous state parks dot the landscape in concentrated settlements of the Up Country area: Keowee Toxaway State Natural Area, Oconee State Park, Devil’s Fork State Park, Sadler’s Creek State Recreation Area, Lake Hartwell State Recreation Area, etc. In our travels, no matter how far into the “boonies” we go, we always find serendipity. The state parks provided views of the foothills and beautiful rock outcroppings; however, we also search for indoor bits of serendipity, and yesterday we went to Easley, South Carolina about ten miles away from Table Top Resort. There, we discovered Poor Richard’s Bookstore. The clerk said that this is the choice bookstore in the Up Country area, surpassing even the bookstores in Greenville, South Carolina, a large city thirty miles or so from Table Rock. In the bookstore, the section of Carolinian and southern writers was extensive and as well-stocked as any I’ve seen in many independent book stores in the South, including The Square Bookstore in Oxford, Mississippi. Of course, I searched for the poetry shelf (notice I speak of shelf in the singular—poetry lovers are few and far between) and found A.R. Ammons, a representative North Carolina poet. However, I came out of Poor Richard’s with a copy of Wallace Steven’s work, which satisfied my yen to read modern poets while on retreat. Another place we discovered in our search for serendipity was the Victoria Valley Vineyards, approximately ten miles away from Table Rock. After the turn-off by Aunt Sue’s Restaurant, a family style eatery in the area, we traveled down a winding road for a mile before we spied the winery. 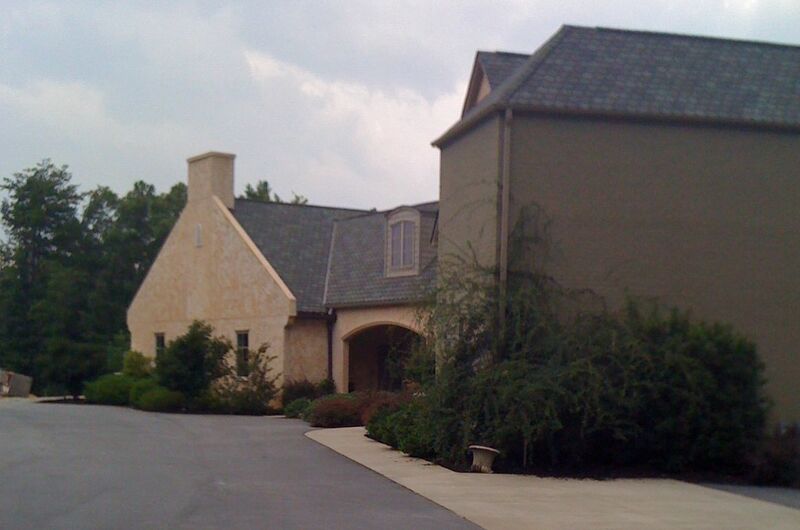 It’s situated on a hilltop and is styled after a French chateau artfully placed at the foot of Table Rock. 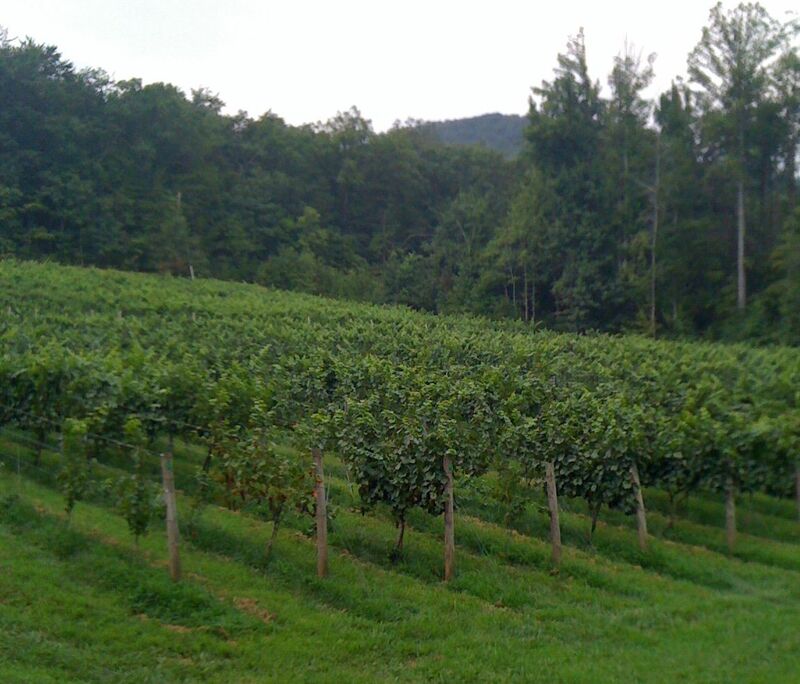 The hillside vineyard, meticulously groomed, is reminiscent of Napa Valley, California wine country. Wine tastings take place here all day every day, except for Tuesday and Wednesday, and on Saturday nights the place rocks with local music and five-course dinners, each course accompanied by a different wine from the winery. “The View from the terrace,” (yes, that’s how the establishment describes its lunch facility) gave us a sweeping view of the terraced vineyards and looming Table Rock. 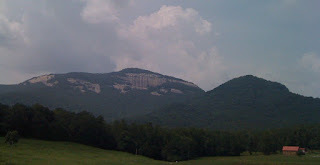 I was interested in nearby Table Rock State Park and Oconee State Park, as CCC stonework is featured in both places. My father was part of this organization, and I always search for buildings, roads, walls, and any structures built of indigenous materials in the 30’s by these young men who enhanced the state park system throughout the U.S. One of the state parks, Croft State Natural area, is part of a former WWII Army training facility and features remnants of a Native American soapstone quarry. Whether you’re a person who loves outdoor recreation or isolation and retreat, the Southern High Roads are worth traveling, even during the hottest months of summer when the heat index sometimes reaches 110 degrees. 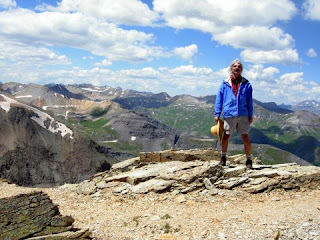 favoring the high peaks beyond. A few weeks ago during lunch at a Mexican restaurant in Cowan, Tennessee, Isabel Anders and I passed around copies of the cover of CHANT OF DEATH, a mystery that she and I co-authored. CHANT, which is to be published by Pinyon Publishing in Montrose, Colorado, will be on the market this month, and I hope that all of you supporters will buy your copy from Pinyon. We think that the cover alone will sell the book! Susan E. Elliott, who created the painting for the cover, is a highly original artist who has a background in biology and excels in art and music as well. When she began painting the picture for CHANT, she spent time listening to plainchant, composed her own version of it, played it on the piano, then transferred the composition to the cover. The result is highly impressive. Visiting musician, Freddie Begun, who is a retired tympani player with the National Symphony in Washington, D.C., was really taken with Susan’s concept for the painting and the finished work. The reception to this art work was an “ooh” and “ah” moment that provided entertainment for the group of old friends gathered to honor Washington visitors. Susan, who has formidable credentials as a scientist, cuts a big swath in the field of art also. She has a B.S. in Botany, a B.A. 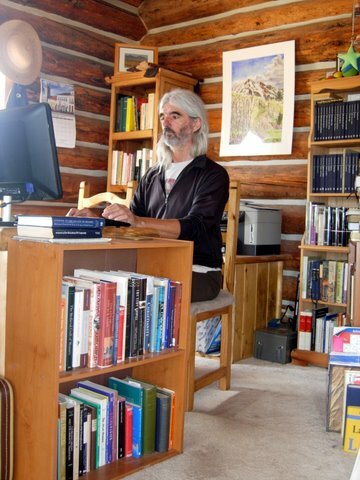 in French from Humboldt State University, and a Ph.D. in Biology from Dartmouth College, but now works as designer for Pinyon Publishing, for which Gary Entsminger, is editor. She studied ecology, evolution, and conservation of plant-pollinator mutualisms and was interested in “how mutualisms influence coupled ecological and evolutionary processes across the landscape.” That is a direct quote because I’m not literate enough in science to explain the scientific jargon. Susan asks questions such as: If you mowed down half the wildflower meadows in a town, would the pollinators be out of luck? Or maybe the pollinators have surplus flowers and are more limited by nest sites? If we humans shift the balance, how will organisms that depend on each other respond? How much wiggle room do we have? The bumblebee picture above conveys her interest in the interdependence between a long-tongued bumble bee and a perennial wildflower; it appears as a painting in the book of poetry, OPEN THE GATES, by Dabney Stuart and published by Pinyon, in which forty of Susan’s paintings appear. 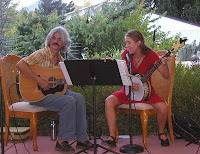 Susan was born and raised in Mariposa, California (small town near Yosemite). She also lived in southern France, Georgia, and New Hampshire. She moved to Colorado for pollination research at Rocky Mountain Biological Lab in Crested Butte (the official Wildflower Capitol of Colorado). Susan represents that rare combination of scientist and artist, and with my friend Victoria Sullivan, who is also a botanist, is working on a book entitled WHY WATER PLANTS DON’T DROWN. This young adult book features text by Vickie and paintings/drawings/illustrations by Susan. In preparation for painting a picture of one of the water plants last week, Susan donned goggles, pink crocs, and blue bathing suit, spraying herself with water to emulate the life of a water plant. I’ve always heard that the way to produce the perfect work of art (writing, painting, etc.) is to use all the senses, so I guess Susan was right on target with her get-up and water immersion! This talented woman has also co-written a novel entitled OPHELIA’S GHOST with Gary. It’s a story that “explores the Anasazi, ancient cultures, the art of memory, Shakespeare, UFO’s, and the Moon.” In her spare time, Susan romps with Garcia, her black lab, mountain climbs, and hikes with Gary several times a week. They live in a cabin on a huge pinyon-juniper plateau in the Rocky Mountains. DIANE: What kind of art training prepared you for the work of designing, painting, and illustrating books? SUSAN: Until 2009, art was a pastime and a tool to remember flower species while I studied botany. I’ve always loved color. For my sixteenth birthday, my girlfriends and I made paper; the image of multicolored, drying sheets in front of our house is imprinted in my mind. From high school days I remember a series of very colorful, finger-painted Spanish women dancing (I was a dancer throughout high school). I’ve gone through periods of wearing pink pants! I love motion and movement. For several years, Gary encouraged me to paint first thing in the morning. It was a better way to start the day than an anxiety-prone, dissertation-related task. So painting was a meditation in that sense. In 2009, Dabney Stuart asked me to illustrate his book of children’s poems. For the next six months, I began rigorous self-training in watercolor. 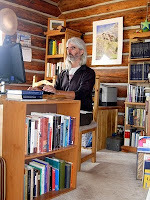 I studied several books – general techniques with Jack Reid; Chinese and hybrid Chinese-western techniques with Lian Quan Zhen, and drawing techniques with Kimon Nicolaides. Dabney Stuart is also a painter and offered excellent hard criticism and encouragement. The style I slid into is impressionistic without being abstract. I focus on subjects versus scenes. My paintings begin with excitement and confidence. I quickly slide into hopelessness and lack of vision. Gary is essential in all stages, but especially this one. We take long walks, and he lets me blather on about the challenges. I try to see each part of the subject's body in my mind and devise how a particular style would suit it. In each painting, I try to combine areas of fine detail with areas of free color and movement. 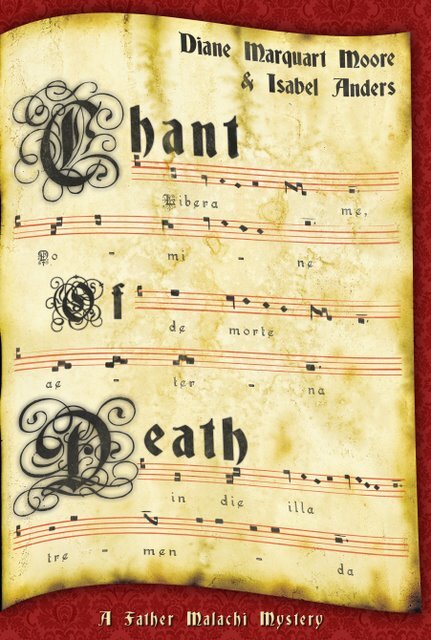 DIANE: I understand the painting of the cover for CHANT OF DEATH involved a complicated process. Would you describe it in detail? SUSAN: This is probably more information than you want, but since it’s the book you and Isabel wrote, you might like to have this information. I looked at pictures of old plainchant manuscripts online to get a feel for the subject. I started trying to learn some basic Gothic calligraphy. Then I decided I’d bite the bullet and create lettering in Photoshop. This would allow me more freedom and chances to revise small sections if necessary. So I experimented with the process of dying papers. I knew I could “age” paper in Photoshop, but this didn’t move me. So I tried hibiscus tea, espresso, and other teas, with a number of variations in drying time, amount of liquid, crumpling, tea and espresso grind/leaves, etc. I liked the espresso paper the best for the interesting patterns and brown/gold colors. So then I did a series of espresso tests. I came up with a half dozen dyed sheets that I liked. I scanned those in, adjusted the paper brightness, “burned” the edges, etc. in Photoshop. Now I needed a plainchant. I experimented with drawing lines and notes in Photoshop to insure I could make them look realistic (by twisting and bending, that sort of thing). I also made sure I could “age” the text and music using certain techniques in Photoshop. Okay, so I knew I could “paint on the music,” so now I needed the music. I found a line from CHANT that I felt was appropriate for the cover: Libera me, Domine, de morte aetema, in die illa tremenda. This, when translated, means: “Deliver me, O Lord, from eternal death on that fearful day.” Another line I liked a lot was: “We are the music while the music lasts.” But the first was in Latin and had a good spooky feel. So then I composed a plainchant. I’ve been a musician all my life (piano, banjo) and have a little music theory training, so this wasn’t too ominous. I tried to make the notes match the sentiment of the words, rising majestically for “Domine” and falling darkly for “morte.” Then I read online sources describing 11th century musical notation. I translated my modern notation and also revised the melody a bit. I painted on the notes in Photoshop. Once the digital manuscript was complete, I aged the writing to match the espresso patterns. I brought the manuscript into my cover file and “warped” it to give it dimension. DIANE: Have you had exhibitions of your work? SUSAN: I’d like to post a gallery of my work online, but right now our book projects are taking the lead. I’ve done a commissioned piece and have a request for prints to hang, but again, exhibiting my art is lower on the priority list right now. Most of my work is for books (sumi-e bamboo in Gary Hotham’s SPILLED MILK: HAIKU DESTINIES, black and white watercolor representations of parables for our book, REMEMBERING THE PARABLES, upcoming color paintings for the water plants book with Victoria Sullivan, drawings inside our book, OPHELIA’S GHOST, and, of course, paintings for Dabney Stuart’s OPEN THE GATES, a book of children’s poems. The books get priority, but when I need to loosen up, sometimes I paint pictures of my nephews (ages two and five, who live in California). DIANE: How does science influence your art? SUSAN: We love combining science and art – and art and literature! Field botany has been a passion of mine since high school. I love the drawings in field guides, and I like the artistic process of mounting a plant. Now I enjoy digital photography so I don’t always have to collect plants. You learn a lot about a plant from drawing it. In college Plant Taxonomy, I kept a notebook of drawings, one to represent each family or genus we were learning. The process of drawing/painting/coloring imprints the subject in your mind so the “memorization” work is done for you. In my current painting projects, I don’t chain myself to scientific accuracy. I want a sand fiddler crab to look like a fiddler crab, not some other crab. I want a water strider to look like a water strider, not a water spider or a mosquito hawk. I want a bladderwort to look like a bladderwort, not just some ambiguous water plant. But, after that, I want the viewer to see “life” in the subject. Animals have eyes; their expression is largely in the eyes. Plants interact with water, insects, air, and people. They move in the water currents and the wind. I am very excited about starting this new water plant project after an intense year of animals. I think my plants will have more life because of the previous animal focus. DIANE: Tell me about your habitat in Colorado. DIANE: I know that Gary listens to music when he works. Do you include music in your painting process? SUSAN: We listen to music almost non-stop. We like many styles (bluegrass, jazz, rock, old-time, classical/concert), but recently, we’ve taken concert music courses from the Teaching Company. We happened to be studying plainchant when we received the CHANT OF DEATH manuscript. (We also don’t believe in most cases of coincidence). Diane, Isabel, and the course turned us on to some particular artists. So, yes, we were listening to plainchant while I worked on the CHANT cover. While painting, one of my favorite CDs is Joni Mitchell’s BLUE. I submerge myself in her artistic sensibility, and my California roots reach out and find water to keep me alive. DIANE: What prompted you to “get in the water” for your first painting for WHY WATER PLANTS DON’T DROWN? For many years I visited my daughter Elizabeth’s home in Antelope Valley, California, situated in the middle of the Mohave Desert, a place of extreme temperatures in the summer. Additionally, the city in which she lives is perched atop the San Andreas fault! Although that description wouldn’t lure anyone to visit, I found the desert to be incredibly refreshing and loved going there during dry, hot summers when the Santa Ana winds sometimes blew into the area. Two of the areas suffering from capricious wind currents that fanned wildfires recently, Palmdale and Tehachapi, are on my list of favorites in the Mohave Desert area. I have numerous poems written about the Mohave Desert, including those written about its fragile plant life, and I was amazed to see how many plant communities thrive there. Of the 2,000 species of plants growing in this desert, my favorite is the Joshua Tree, many of which jut up in open spaces near Palmdale and Lancaster, California. The plant is sometimes referred to as “the canteen of the desert,” but global warming threatens to make them extinct. Rangers in the Joshua Tree National Park predict that they will die off during the next 50-100 years. Like many areas in California, mountains (the San Gabriel and San Bernardino mountain ranges) and desert meet in the region of Antelope Valley. One Spring I visited Palmdale during the blooming of poppies where, at every turn, brilliant red flowers covered patches of the desert. I was reminded of the quatrain in the Rubaiiyat, “lighting a little hour or two, then are gone,” for their time on the desert landscape is short. Unfortunately, the poppy center near Palmdale was closed, but I didn’t have too many regrets because rattlesnake danger signs were posted everywhere at the entrance to the park. Views from the car satisfied my interest in this desert plant. My appreciation for the desert landscape has been captured in a poem I’ll publish here and can also be read in my chapbook, AFTERNOONS IN OAXACA. my daughter surviving on shifting winds. Crown fire, an unquenchable king. it will bring wildflowers in the Spring. The climate here at Sewanee is much cooler in the summer, and I love the woods on the Cumberland Plateau. However, come July, I always suffer twinges of nostalgia for the desert, especially the cool nights when you can eat outside without being plagued by mosquitoes and other insects. The Mohave always reminded me of my sojourn in the desert community of Ahwaz, Iran where I lived for two years in the 70’s. It was there that I became serious about becoming a published author. The desert inspires!